Rent the Runway is looking for Full-Time - Customer Experience (CX) Associates to join our growing team at our Dream Fulfillment Center in Secaucus, NJ. CX lives and breathes our mission of empowering our customers to feel amazing. We've been called fit gurus, personal stylists, shipping virtuosos, and even fashion therapists. From styling advice to troubleshooting orders to offering a confidence boost when needed, we're ready to help with anything. Our CX Associates are the heart of our business and have a major impact on our continued success. You will be working with a great team with supportive team leaders. Our philosophy is built around our commitment to our employees and customers. We are committed to providing employees with opportunities for growth and development, as well as an environment where your ideas will help us drive our business and create a more meaningful employee experience. 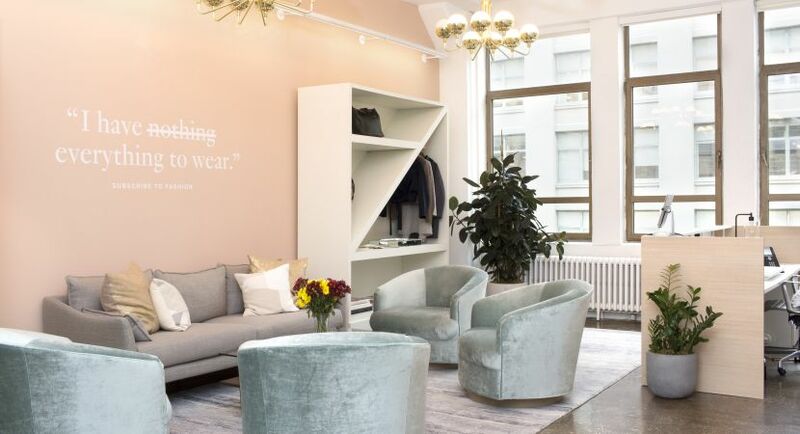 Customer Experience Associates (CXA) will be responsible for ensuring that all of customers have the Cinderella Experience that has personified the Rent The Runway brand. This role will act as a subject matter expert who delivers empathetic, detail-oriented solutions to our customers. As our frontline, all CXAs are trained and positioned for optimal employee effectiveness. Problem Solver – must be a quick thinker and decision maker in a fast paced environment; make sound timely decisions that lead to results. Communicator – must be an excellent communicator, able to listen well and understand the needs of our customer and the business. Express ideas clearly and directly; persuasively communicate to produce positive results. Strong Integrity – honest and ethical in all interactions in and outside of the learning environment; uphold company values and policies; maintain the integrity of the content and delivery. Dedicated – committed to providing a Cinderella Experience during every customer interaction. Empathetic – able to see situations from the customer’s perspective and provide the best solutions that are aligned with Rent The Runway core values. Deliver exceptional service and develop lasting relationships with customers via Rent the Runway channels for communication - phone, emails and live chats. Serve as a proud brand ambassador of Rent the Runway, constantly championing our core values to democratize fashion. Maintain knowledge of all Rent the Runway product including fit, styles and inventory. Assist customers in finding styles that meet their individual style and events needs. Troubleshoot and resolve customer issues with the utmost care and respect by listening to their problems and offering creative resolutions. Deliver personalized service while meeting quality and productivity goals. Share customer feedback and information with other team members and leaders in order to continuously improve and evolve the customer experience. Contribute to an empathetic, positive and energetic team culture. Ability to work 40 hours per week -- can include days, evenings and weekends. This is a full time role. Rent the Runway CX perks: Team outings, holiday celebrations, and opportunities to take on cross-functional projects. And most importantly - working with a great team!